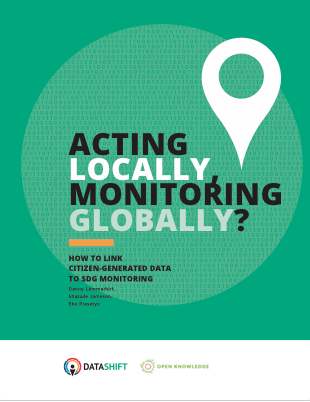 Research and analysis on citizen-generated data, and its role in promoting accountability and monitoring the SDGs. This toolkit is part of a larger effort by DataShift to strengthen organisational capacity to work with data in an actionable way through the Data for Action programme. It was developed to serve as a guide for organisations in thinking critically about survey data using spreadsheets. This toolkit was made possible with funding by the European Commission. This resource has been developed for small- to medium- sized civil society organisations working with survey data. The instructions contained in this manual are designed specifically for data entry by a single user using one computer at a time. This is not intended to be applicable for large-scale data collection utilising multiple data entry personnel on multiple devices. non-compliance. 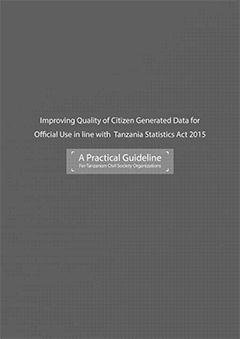 This guideline provides practical steps, so citizen generated data be recognised and endorsement by the government and its institutions. 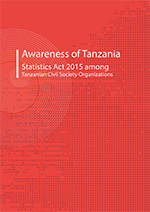 production, access and sharing of official statistics. Whereas some commentators in civil society argue the act is infringing on people’s democratic rights of collecting and sharing data. 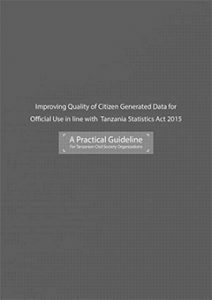 With this in mind, this report focuses on how civil society understands on the provisions of the Tanzanian Statistics Act 2015 and for CSOs to comply with the law and enhance the quality of their data and Statistics so that it can be considered for official policy and decision-making processes. Centre for Sustainable Development has been working for fifteen years with local government to advocate and obtain land rights for slum dwellers in Nagpur, India. A key component of their work involves CGD, particularly community engagement, mapping and collecting the documents that establish the legitimacy of the slum dwellers claims. Despite their success, all parties were interested whether costs and processing times decreased by transforming thie mainly physical CGD process to a digital one. The findings suggest yes that technology could decrease costs and processing time, but it could only do so with greater local government and civil society collaboration. DataShift seeks to foster and inform dialogue between civil society and governments about the practical ways citizen-generated data (CGD) can contribute to action on sustainable development, including the implementation and ‘follow-up and review’ of the global Sustainable Development Goals. This report delves into the opportunities and challenges involved in using CGD to support government-led efforts to catalyse and monitor progress on sustainable development. A series of interviews were conducted to investigate how public data producers and users (such as National Statistics Offices and policymakers) perceive CGD. Participants included statisticians, public officials, and other relevant stakeholders working at the local, state, national, and global levels. While focusing on DataShift’s pilot locations (Argentina, Kenya, Nepal, and Tanzania), our study also brought in contributions of experts from international organisations – such as Open Data Watch, Paris21, and the UK Department for International Development. 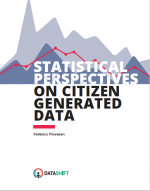 Citizen-generated data (CGD) is data actively created by citizens and their organisations. It is produced to monitor, demand or drive change around issues that are important to them, often collected on the ground and in local contexts. As such, CGD yields the potential to foreground the issues of disadvantaged communities in under-reported locations. Yet, if the SDGs aim to leave no one behind, and if CGD can provide contextual information about marginalised groups, the question is whether and how CGD can be used for the SDGs. In this report, Acting locally, Monitoring globally in our research series, we aim to address to what extent are the SDGs relevant for CGD initiatives. 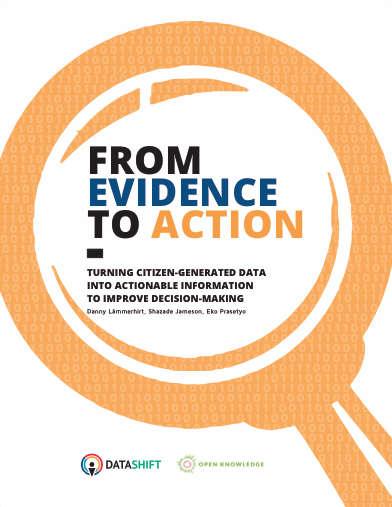 From “From Evidence to Action“, the second piece in our Research series demonstrates how citizen-generated data (CGD) can support decision-making and trigger action. CGD is a representation of the issues that are most important to citizens. If evidence provided by CGD shall trigger action, the issue and its stakeholders need to be well understood. Stakeholders have certain capacities to engage with an issue, and are prepared differently to act upon it. Some actors may lack the literacy, knowledge, time, or interest to engage with complicated data. The task is for CGD projects to understand these nuances, and to translate their data into digestible, easily understandable, and relevant messages. The qualities of CGD need to match with the action that is planned. We are excited to announce a new DataShift research series investigating how citizen-generated data can be used to monitor progress around the SDGs, written by Danny Lämmerhirt, Shazade Jameson and Eko Prasetyo from the Open Knowledge International. 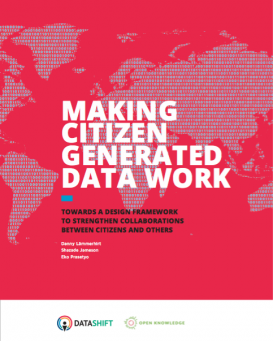 The first piece “Making citizen-generated data work”, elaborates on the different ways development actors mobilise partners and resources to produce citizen-generated data. Citizen-generated data (CGD) needs partnerships to thrive. Even though produced by citizens, their data production is often supported by civil organisations, governments, business partners, or community-based organisations. These actors unites their often necessary role in providing resources, support, and knowledge to citizens to produce data. In return they can harness data created by citizens to support their own mission. Thus, citizens and other actors often gain mutual benefit from a CGD project. But if CGD projects rely on partnerships, who has to be engaged, and through which incentives, to enable CGD projects to achieve their goals? How are such multi-stakeholder projects organised, and which resources and expertise do partners bring into a project? What can other projects learn to support and benefit their own citizen-generated data initiatives? This report calls for stronger collaborations to tap into CGD. 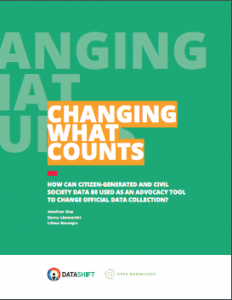 This report looks at how citizen-generated data can influence the way in which governments and institutions carry out data collection. It includes examples of where citizen-generated data has directly influenced policy changes, provided concrete paths of collaboration between civil society and public institutions, and raised awareness of important, under-reported social issues. Many of the recommendations for the two key audiences speak directly to core aims of DataShift’s ongoing work: encouraging institutions to look at sustainability models to support civil society groups who are generating their own data, and using that data as a potential means of collaboration. This piece explores the idea that governments could host and publish citizen-generated data themselves, and whether this could mean that data is applied more widely and in a more sustainable way. We wrote this report to explore this issue further, looking at existing models of data collaboration and outlining our first thoughts on the benefits and obstacles this kind of model might face. We welcome feedback from those with deeper expertise into different aspects of citizen-generated data, and look forward to refining these thoughts in the future together with the broader community. 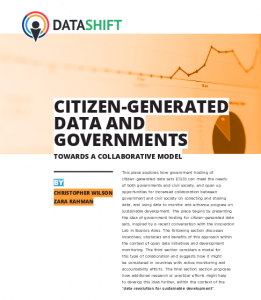 Three research teams based in the DataShift’s pilot locations – Argentina, East Africa (Tanzania and Kenya) and Nepal – are looking deeper into the impact of citizen-generated data initiatives in their own countries. Each team will be conducting in-depth research into the impact of five ongoing or completed citizen-generated data initiatives that address issues relevant to the Sustainable Development Goals. They’re examining how initiatives’ data has been used by others; how projects check the quality of their data, whether the initiative is likely to last in the long term; and how the data is received at the local level. Nepal: Local Interventions Group, which has founded and managed a range of citizen-generated data initiatives in Nepal, often in close collaboration with the government. This study is based on a combination of desk research and mixed consultations methods with a wide group of stakeholders, including citizen representatives, national and international campaigners, data producers, government officials, donors and international experts. In order to understand the relationships between these groups and how their perspectives and practices regarding citizen reported data varied, multiple consultation formats were employed, including group consultations, online consultations, individual interviews and participatory workshops. 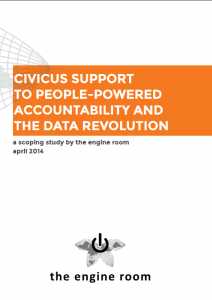 The results of these efforts were considered together with CIVICUS project staff on a running basis, and informed strategic decisions about study implementation, as well as project strategies for the CIVICUS team.